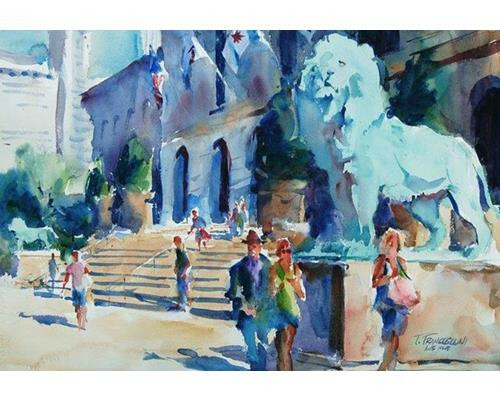 Art Institute Watercolor on paper 15 in. x 22 in. 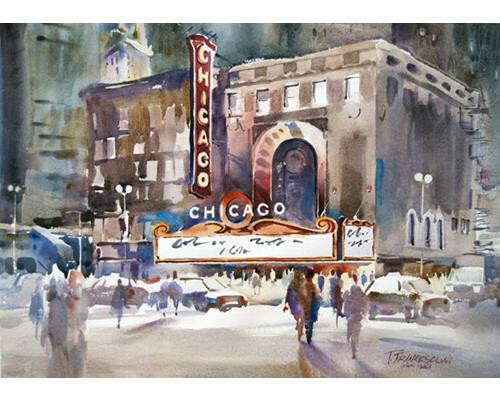 Chicago Theater Watercolor on paper 22 in. x 28 in. 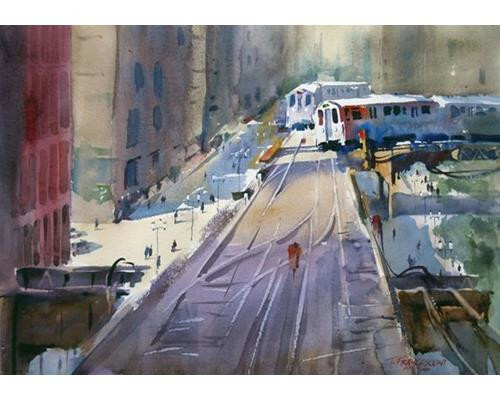 Chicago's Elevated Watercolor on paper 22 in. x 28 in. Art Institute Watercolor on paper 19 in. x 11 in. 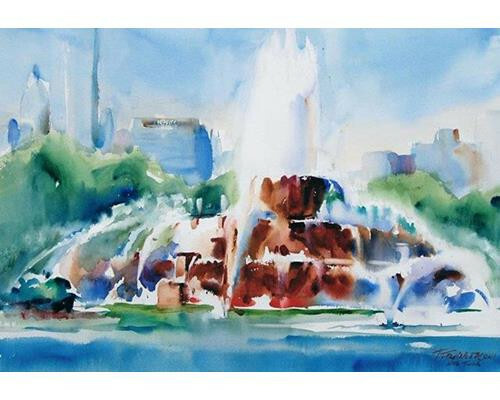 Buckingham Fountain Watercolor 15 in. x 22 in. 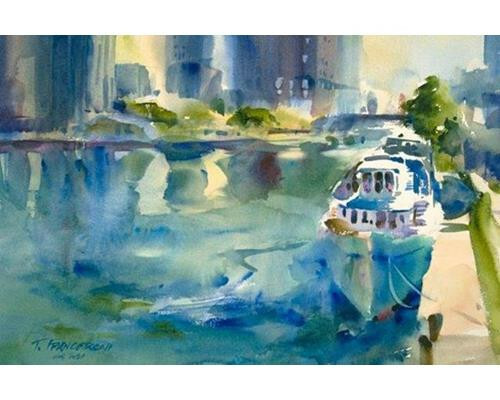 Chicago Tour Boats Watercolor on paper 14 in. x 21 in. 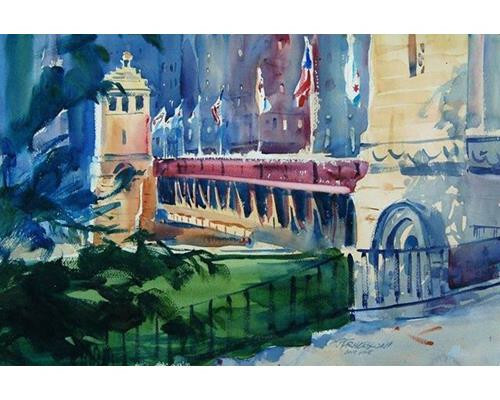 Michigan Avenue Bridge Watercolor on paper 15 in. x 22 in. 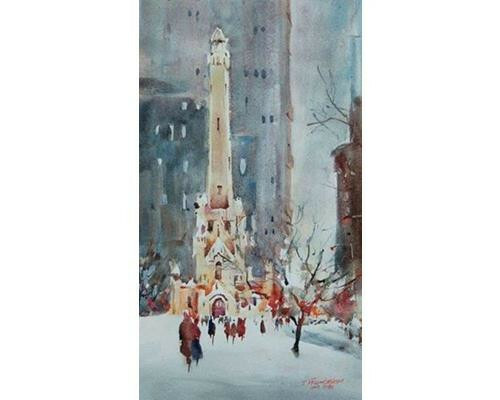 On The Magnificent Mile Watercolor on paper 15 in. x 22 in. Quiet Harbor Watercolor on paper 15 in. x 22 in. 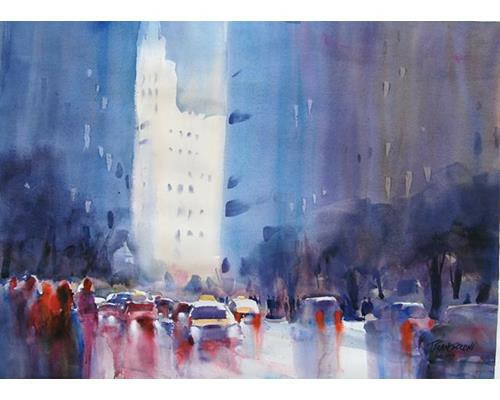 Rain On Wabash Watercolor on paper 21 in. x 29 in. Wintery Sentinel Watercolor 20 in. x 11 in. 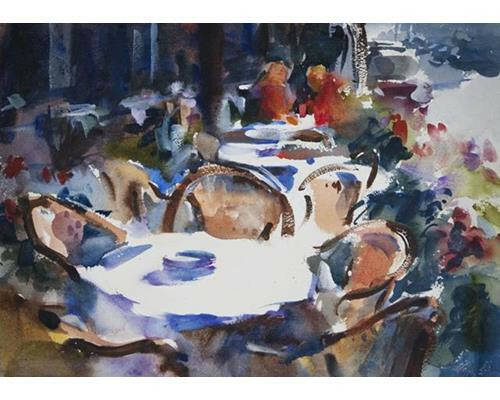 Cafe At Rush Street Watercolor on paper 15 in. x 22 in. Downtown Watercolor on paper 22 in. x 30 in. 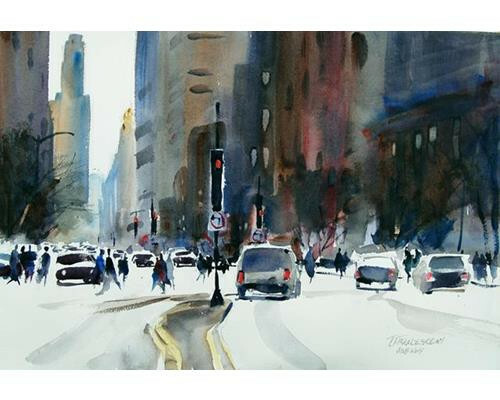 Michigan Avenue Watercolor on paper 15 in. x 22 in. 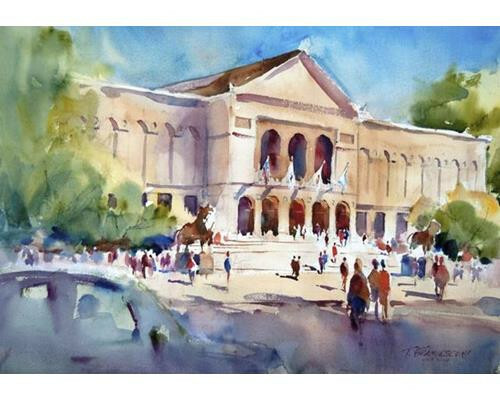 Tom studied watercolor at the American Academy of Art in Chicago. 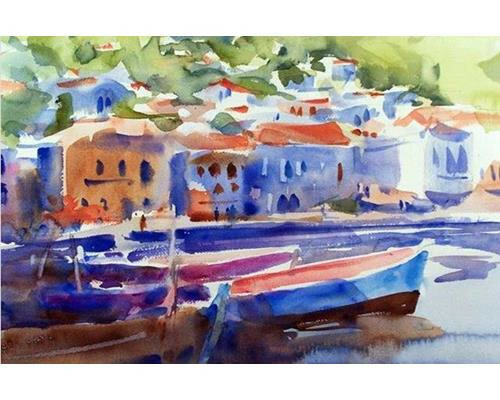 He has earned signature membership in numerous watercolor societies, including the American Watercolor Society, National Watercolor Society, Watercolor West and the Transparent Watercolor Society of America, of which he has been honored with ‘Master’ status. 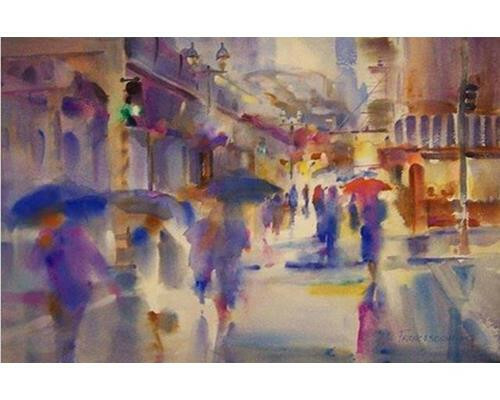 Tom has served as president of the Transparent Watercolor Society of America. 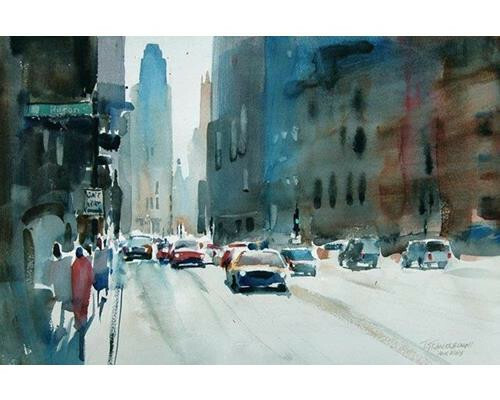 He has received many awards in regional and national exhibitions, including the 1st Place Award at the 43rd Annual Watercolor West Exhibition and the Soft Edged Expressionism Award at the 32nd Adirondacks Exhibition of American Watercolors. Along with his weekly classes in Chicago, Tom has conducted workshops throughout the United States, France and Croatia. Tom’s work has been featured in numerous books and magazine articles.